er, Inela Nogic, was featured on U2’s cover for their song ‘Miss Sarajevo’ – ‘Here she comes, heads turn around, here she comes, to take her crown’. She and the other pageant finalists held up a banner ‘Don’t let them kill us’. 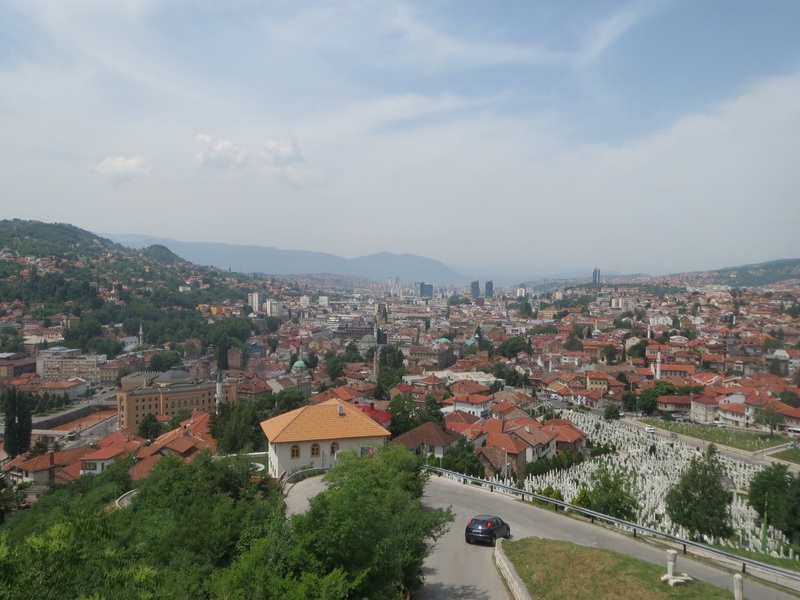 Eleven thousand people were killed in Sarajevo in the longest city siege in modern history. Our city guide Mohammed showed us a photo taken earlier this year of 11,000 red chairs, signifying the people killed in the siege, which lined ‘Sniper’s Alley’, marking the 20 year anniversary of the end of the war. He also showed us the YouTube clip of Brian Eno and Luciano Pavarotti singing ‘Miss Sarajevo’, backed by film footage of the beauty pageant and the shelling of buildings, of people in the streets running for their lives as snipers picked them off. He was a child of 10 when this conflict began and showed us shrapnel scars on his legs. 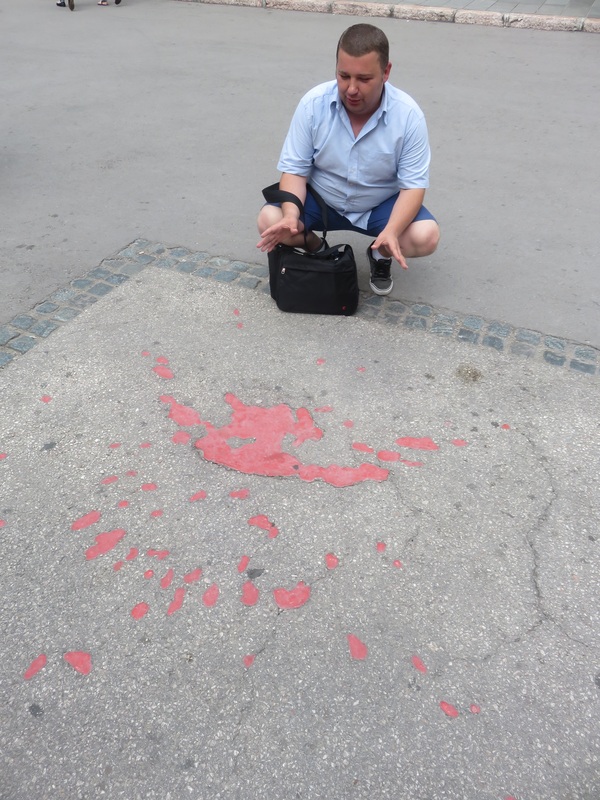 His passion for telling us the complex history of the Homeland War in Sarajevo and the terrible struggle for survival, tinged our visit here with great sadness. 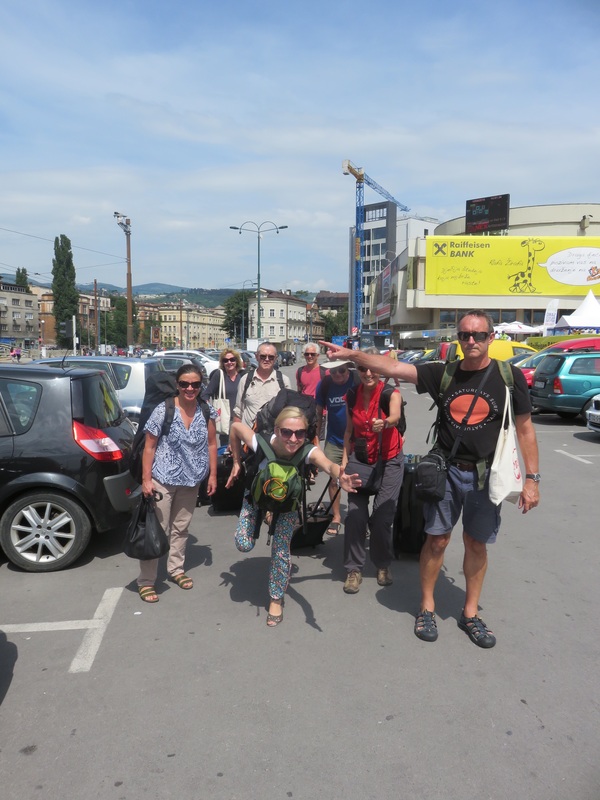 h its journey on the Serbian side of the city – so we endured a hot and crowded ride in a trolley bus back into Sarajevo proper. Our pension hostess Zumra was waiting for us and as this was a Muslim household, we took off our shoes at the entry, as a mark of respect to separate our public and private lives. 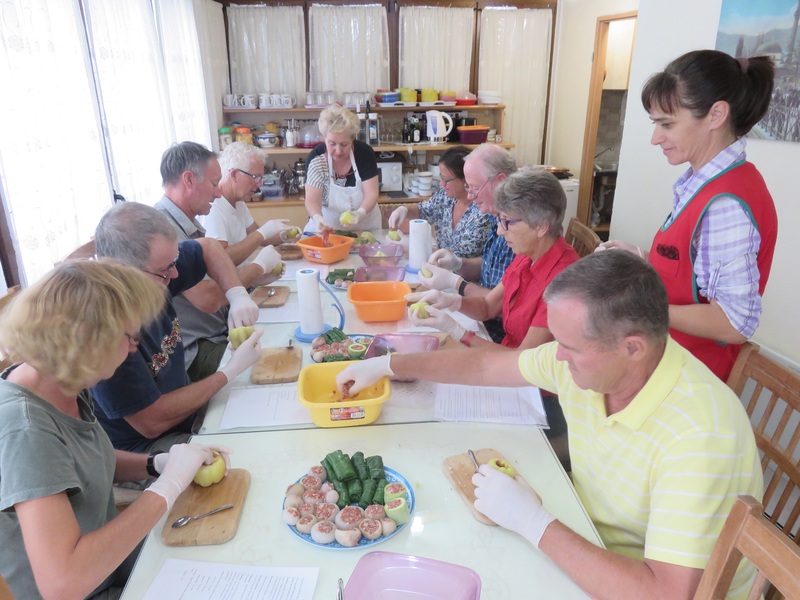 Zumra later showed us, during a cooking class, how to make ‘dolma’ or stuffed vegetables, which we later consumed with great relish. A mature woman, her delight in showing us great hospitality and pride in Bosnian traditions made her pension a haven from the hot, dusty and still damaged city outside. Each morning, we were woken by the muzzehin’s call for prayer and during the day, the cathedral’s clock tower chiming the hour. Bosnia Hercegovina today is made up of 48% Bosniaks (Muslim), 37% Serbs (Serbian Orthodox) and 14% Croat (Roman Catholic). They speak roughly the same language and eat the same cuisine throughout the Balkan countries but the racial, or more appropriately religious, tensions between the groups after the Homeland War (1991-1995) is raw. This is most evident in Bosnia, where in 1995 to end the conflict, the United States negotiated the Dayton Agreement, giving the eastern and western border areas of the newly independent Bosnia, the title Republika Srbksa (Serbia) to satisfy the Serbian Bosnians, the most infamous being Radovan Karadic and Vlado Mladic. Incredibly Srebrenica, where 8000 Bosnian Muslims were massacred in 1995 is now part of this Republika Srbska. 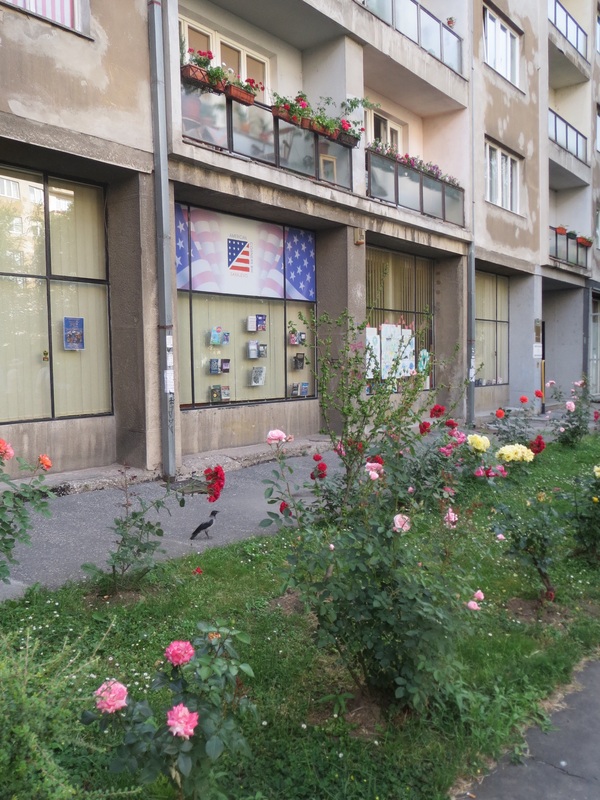 Bosnia today is divided into 10 cantons with over 14 different parliament systems and according to our guide, 60% of the population’s taxes go to supporting this bureaucracy. It is a country on the edge. Mohammed took us to the Tunnel Museum, just outside Sarajevo’s international airport. During the Homeland War, the UN/NATO controlled the airport to supposedly allow humanitarian aid through to the city. 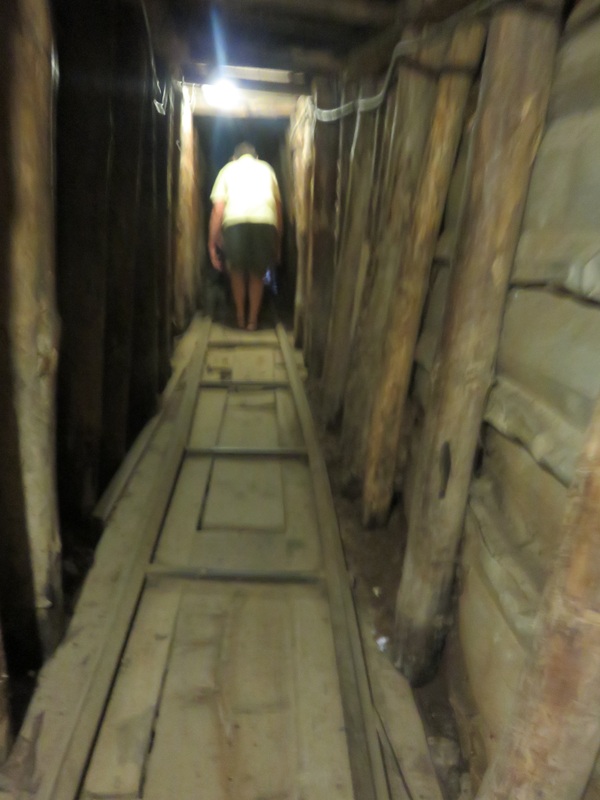 An 800m tunnel, 1.6m high was dug under the runway by the Bosnian resistance fighters. Food and ammunition passed backwards and forwards under the runway, while NATO closed a blind eye. In fact, Sarajevans still cannot believe the world did nothing to stop the war and have little time for the UN. The city has a modern history of conflict, as it was here that the assassination of the Austrian Archduke Prince Franz Ferdinand and his wife, Sophie, precipitated the First Wold War. 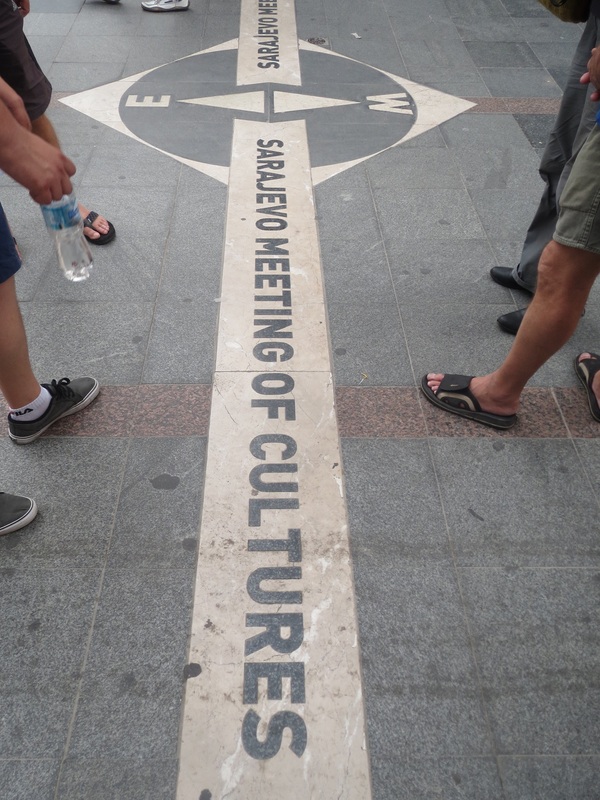 We stood at the junction of the roads where Gavrilo Princip, a Serbian Nationalist, fired the fatal shots. Franz Ferdinand’s visit coincided with anniversary of the First Battle of Kosovo, in 1389, in which medieval Serbia was defeated by the Turks! 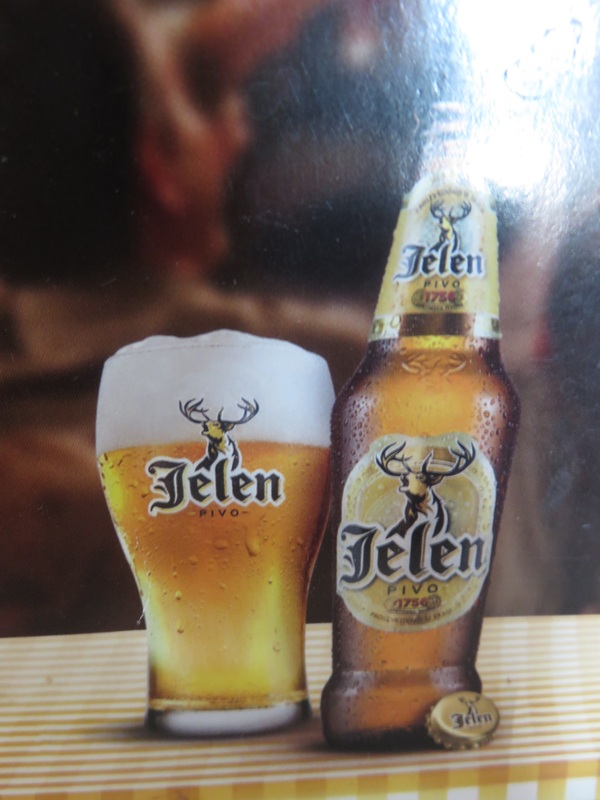 Two hundred metres across the river stands the brewery, the only good source of water during the Sarajevo siege. 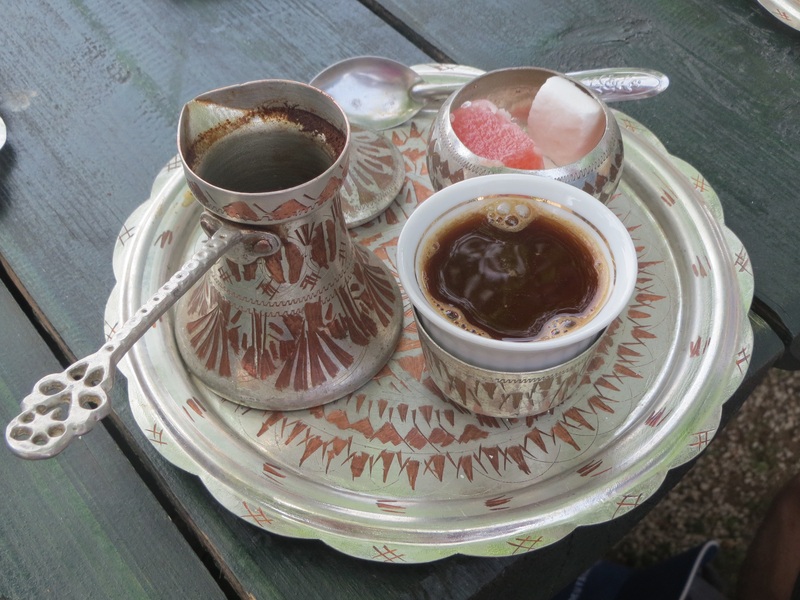 Mohammed ended our tour by offering us Bosnian coffee – thick, like its Turkish cousin – served with rahatlokum (Turkish delight) and we adjourned to the brewery for a glass of ‘pivo’ – the word for beer from Russia to Montenegro – reeling from an attempt to understand the city’s history. Our next visit was to the city of Mostar in Hercogovina. 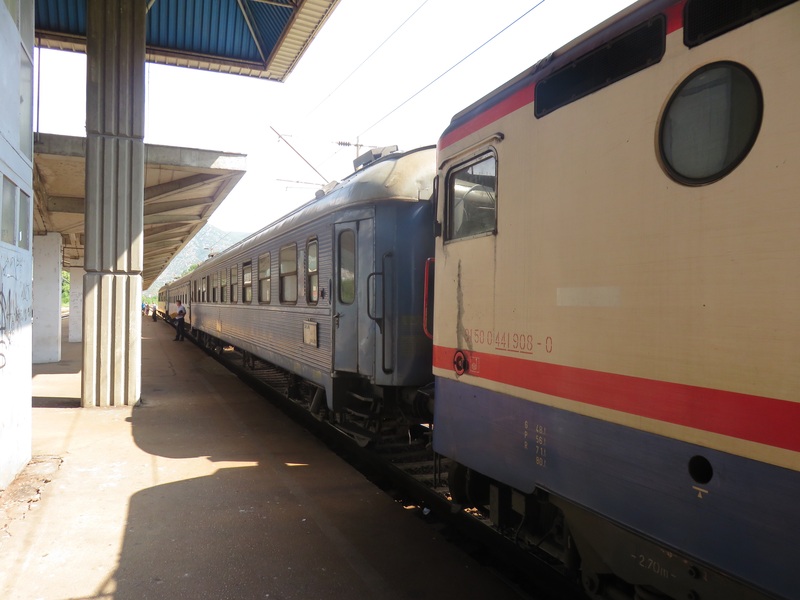 The journey by ancient train – we travelled in a first class Swedish built carriage from about 1950 – took us down through a mountain range sliced through by the Neretva river. The famous train line, built by the Austrians at the turn of the 20th century, was on our ‘must see and do’ list. After leaving Sarajevo’s graffitied central station, we snaked through long tunnels barrelled into the limestone cliffs. Emerging into the daylight, glimpses of the river far below soon became larger as we travelled over the huge dam at Konjic. 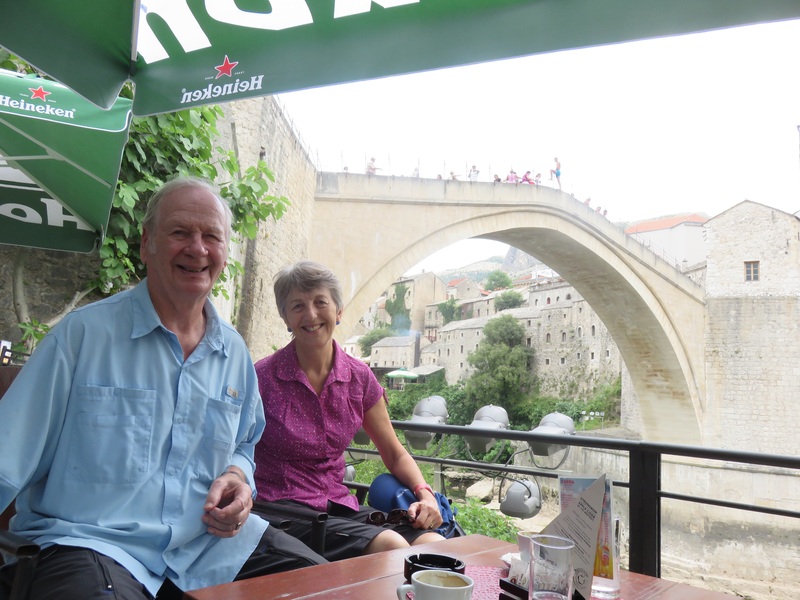 Arriving in Mostar to see the famous UNESCO listed stone bridge, we first walked along the Main Street from the train/bus station, where bombed out buildings still stood unrepaired. The conflict in Mostar where Catholics fought Muslims in the same city but on different sides of the river, was even more distressing than Sarajevo. 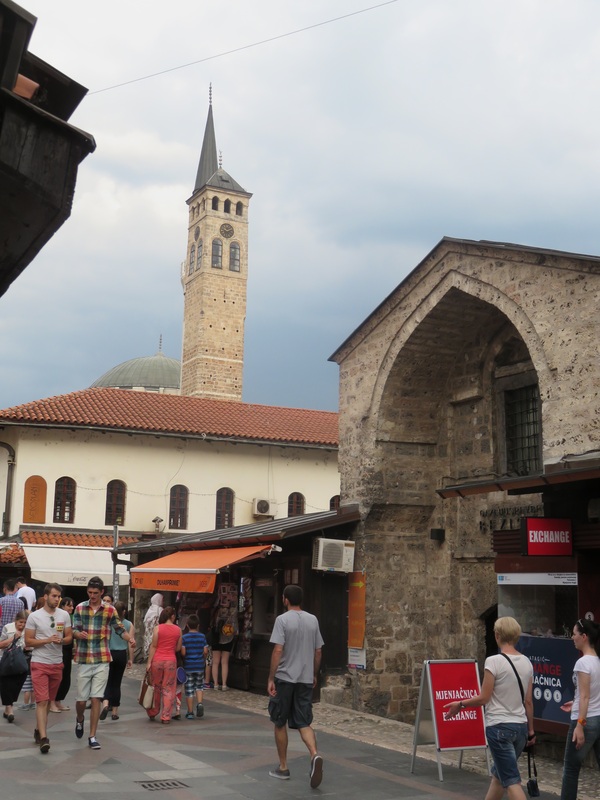 The winding stone streets of the old city led to the famous stone bridge, built in the 1400’s by Ottoman engineers to provide a trading route from Greece up through the Balkans. We visited a museum in the northern to were, showing the painstaking reconstruction, faithful to the original methods, conducted in 2004 under UNESCO support, after it was destroyed by the Bosnian Croats on the other side of the river. A lighter moment was watching the entrepreneurial young men, parading on top of the bridge, until they received enough tips to inspire them to jump the 24 metres into the river below. Fred and I adjourned for a cheese burek, a flaky pastry filled with fresh cheese and a Caj, or chai – strong black tea served in a small glass with a cube of sugar, a Turkish/Persian tradition well remembered from earlier travelling days. Mostar was packed with tourists of every nationality, east and west. Hopefully it will help the Bosnian economy and may contribute to ensuring peace and prosperity continue in this tragic country. What an amazing trip you are having! When do you head home? Thanks, we’re only half way through. Currently in Croatia on Korcula Island. The sea here is amazingly clear but no sand!